You do not have to be vegan to drink plant milk. Cashew nut milk is good and healthy for everyone. 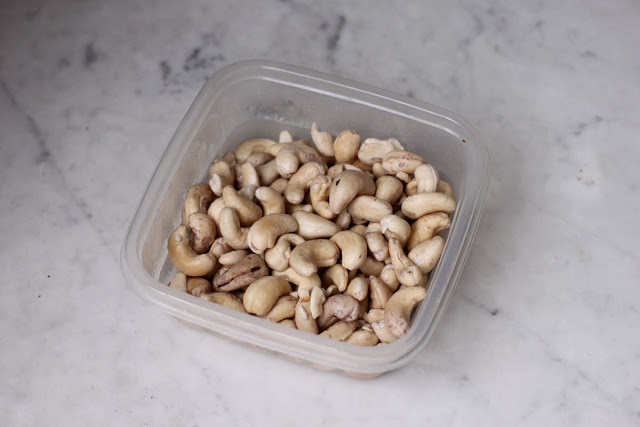 When the milk is made from 1/4 cashew nuts and 3/4 water, the nutrient content corresponds to 1 deciliter of finished milk, the nutritional content as in 1/4 desiliter cashew. Here you will get good amounts of vitamin K, iron and magnesium. Here I show you how to proceed with a slowjuicer. 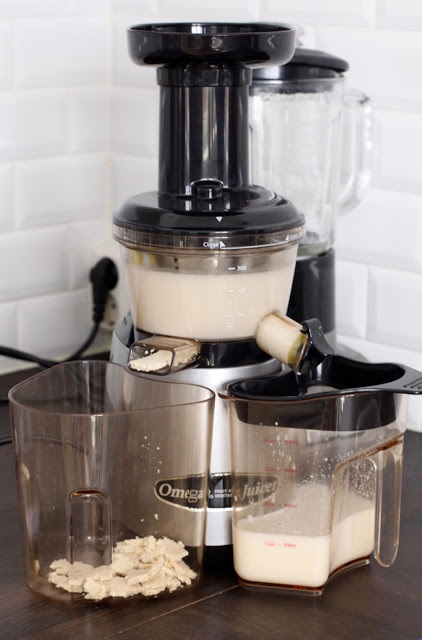 If you do not have a juicer, you can make the milk in a blender. 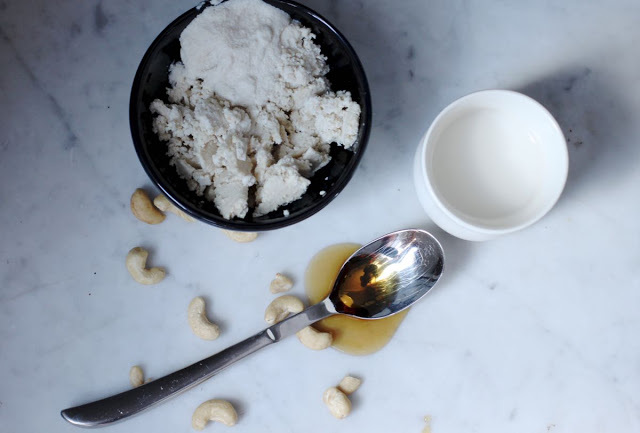 Follow the steps in the post about homemade almond milk , made according to the same principle. It is important to soak the nuts before starting. Soaking makes the nutrients easier absorbed in the body. Rinse the soaked nuts through a sieve and find the juicer. Let the cupcake be closed and have a nuts and a few deciliters of water in the juicer. You will see that the water quickly mixes with the nut of milk. Open the tap so that the finished milk flows out. Repeat the process to all the nuts and the water is used up. Now the milk is to be sown. This is done through a “silk cloth”. When everything is pushed through, you add any flavor to make it sweeter. 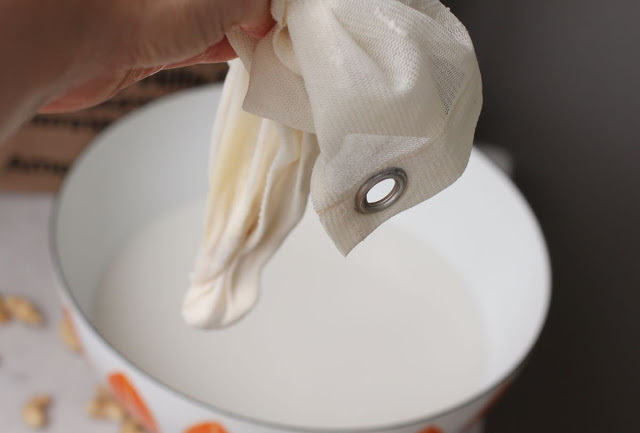 Pour the milk onto a completely clean bottle (sterilize a glass bottle of 100 degrees for 10 minutes in the oven). Use a funnel to avoid spills. Store in a refrigerator, where it is durable for 3-4 days. The juicer works for more than just juice. To avoid corny milk, seal the milk through a suitable cloth. This will make you cheap on eBay, such as here. The bulk left after you have made the milk, you must not throw. This can be used as a basis in crispbread, bread, waffles or cakes. I even tried a cashew nourishing cream. Mix cashew pulp, a little cashew nut milk, cocoa and maple syrup in the blender. Great berries!